License certificate: Your plumbers should be licensed in their trade and always be able to show their license or certificate for their customers. Any of the crew that is sent to your house should be journeymen or hold an apprentice License. Now if they are doing just drain cleaning with their sewer machine they are not required to carry a license but it is still a good idea to have a licensed plumber do the drain cleaning. Common sense will tell you that a plumber will have more knowledge about your drains than someone like a handy man with a sewer machine. Be sure and check to see their license before they start the work. Online reputation: Everyone wants to know who is coming in their house and although you can’t always know for sure it is a good idea to check out their online reputation to find out what other customers are saying about them and what kind of ratings they have. It is easy nowadays to find the good and the bad online by searching their company. It might not be a good idea to use someone with bad review when there are a lot of companies that care about their customers and their reputation and work hard to satisfy their clients to make sure their reputation stays good. This is very important. Estimates: On a big job you probably wont find any plumbers that will give you one on the phone. On a big job it will take a close look at the job to figure the labor, materials, and get as close as possible without unforeseen problems that can arise after the job starts. 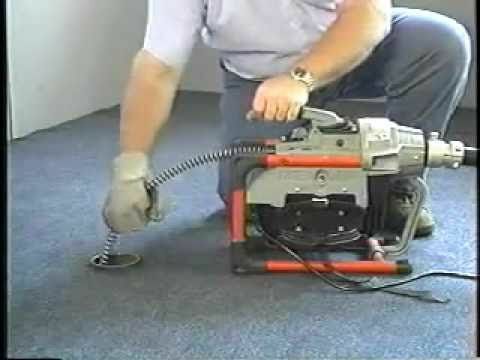 Sometimes they can give a fairly close price if you send them pictures of the job and they describe it accurately. Some prices can be easily done over the phone if it is something like installing new water heaters or a kitchen or lavatory faucet. and offer lots of input on the way you want it done. job done right and not have to come back for the same problem. You should always think about these five steps to make sure you get the best job and take advantage of the experience and expertise of the Master contractor you hire. 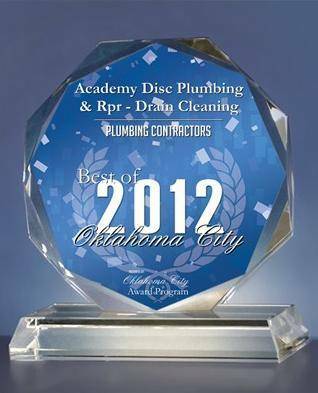 Specializing in residential and multi-unit plumbing, Academy Disc Plumbing & Repair is family owned and operated. 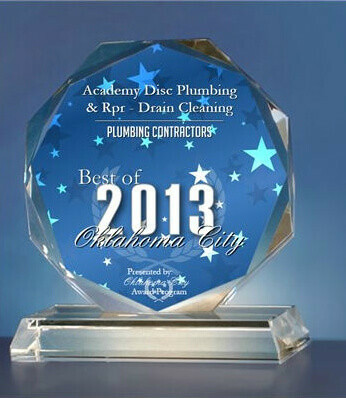 We are licensed and insured plumbing contractor in Oklahoma. Call (405) 421-0102.